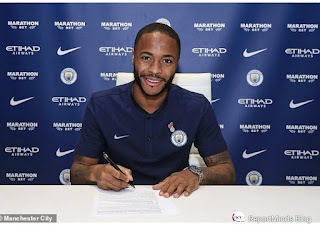 England and Manchester City forward, Raheem Sterling, has officially signed a new five-year deal worth up to £300,000 a week with the Premiership champions, making him the highest-earning English footballer. 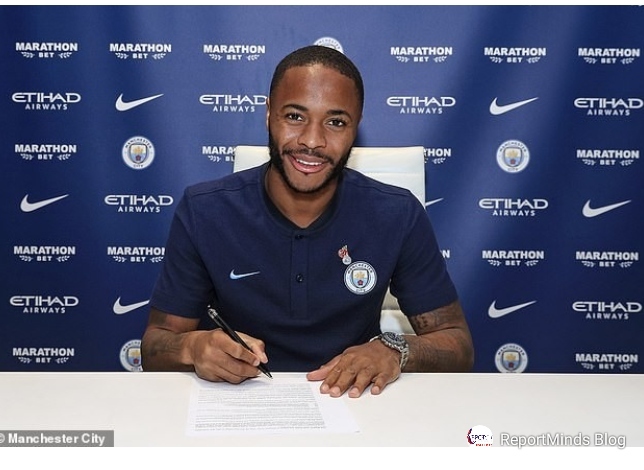 'I'm delighted to sign - my development here has been incredible,' Sterling said. 'I felt from the minute I got here it was the right choice for me. It's really paid off for me and I'm really grateful. 'Every season you come in you want to do better than your previous season. You want to try and develop and get better.